A tasty treat to end any Caribbean party, with the ultimate zing of ginger. Heat the oven to 160 degrees (great if you are cooking my Jerk BBQ Pulled Pork - as you can cook it at the same time). Grease and line a cake or loaf tin with baking paper, pour in the mixture, and bake for an hour to an hour and 15 minutes. Take out of the oven when a skewer can be inserted into the middle and comes out clean. I was asked to create some recipes using products from Grace Foods & Dunn River. I received no compensation for my reviews, or recipes - just getting to work and know new products! Hello! Welcome to Lulabella's Kitchen. 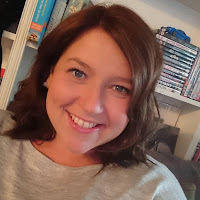 I am an assistant by day and blog writer, recipe creator and adventurer in the rest of my spare time! Everything you see here is inspired by my travels, passions or inspiration I find in the strangest of places! I hope you enjoy my recipes and general musings! © Lulabella's Kitchen. All rights reserved.